Pinching the crisp fish cake with my thumb and index finger, I take a deep inhale, and then crunch into its centre. Steam spews from the sides of my mouth as I try to chew my bite without letting the heat overshadow the flavour. You know a dish is truly delicious when it’s too hot to eat, yet you still take another bite. The freshly cooked treat that I’ve just consumed makes it impossible to let the cake cool before consumption. 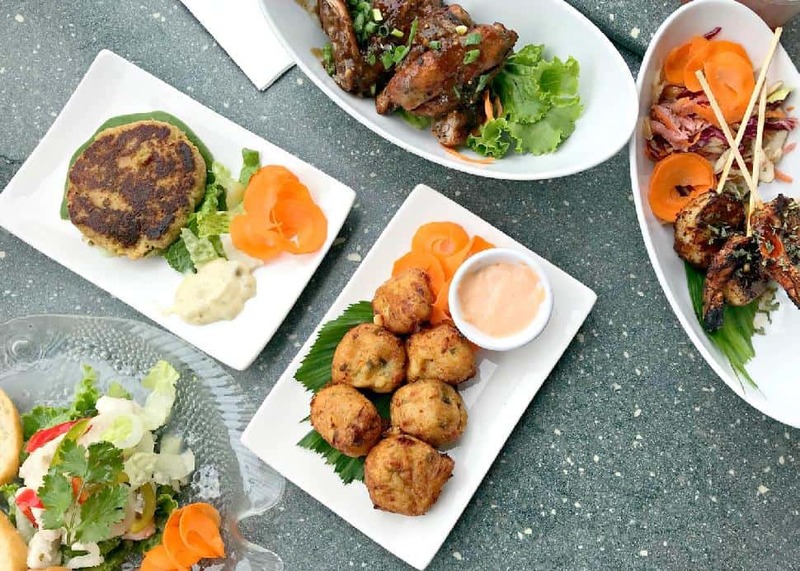 Bajans, the people of Barbados, love their Caribbean comfort foods, and after a scrumptious tasting tour of the best local food spots, these are five absolute must-try dishes. Bianca BujanWhat it is: I’ll admit, when my food tour guide announced that we’d be sampling BBQ pig tails, I was a bit apprehensive. I love grilled meats, but this was a cut of pork that I wouldn’t normally pick. Pig tails aren’t the cute curly tails that you think of when hearing the name. Instead, it is a dish made using the backbone of a pig, brined, boiled multiple times, and then seasoned and sauced before being grilled to perfection. While the name may sound questionable, this dish is quite delicious. 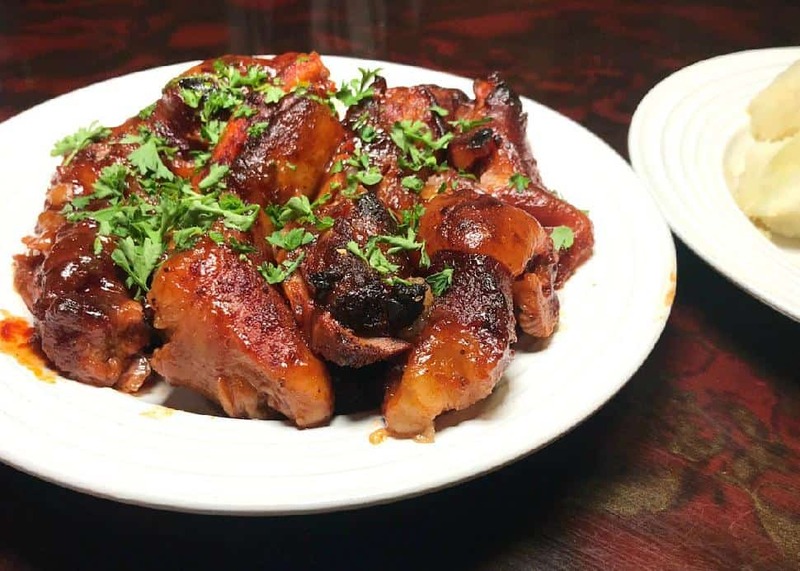 Where to try it: The casual favourite Tim’s Restaurant is the best place for pig tails and other local specialties. Dine with the island’s locals and enjoy your first taste of the plate with a side of cassava, a locally-grown root vegetable, and some sweet potatoes. Bianca BujanWhat it is: Made with macaroni tubes (instead of elbows), this Bajan take on mac 'n' cheese includes a mixture of ketchup, mustard, cheese, evaporated milk, egg, onion and breadcrumbs which creates a creamy consistency. Baked to a golden brown, it offers a crunch that will have you craving more. Where to try it: Pat’s Place in Oistins is known for making a killer macaroni pie. Try it served with grilled fish or lobster, and—if you can—aim for an evening out for the Friday Night Fish Fry, where you can dine on fresh dishes, and then enjoy a night of music and dancing. Bianca BujanWhat it is: While it actually originated in Guyana, this flavourful stewed meat dish is a Bajan buffet must-have. 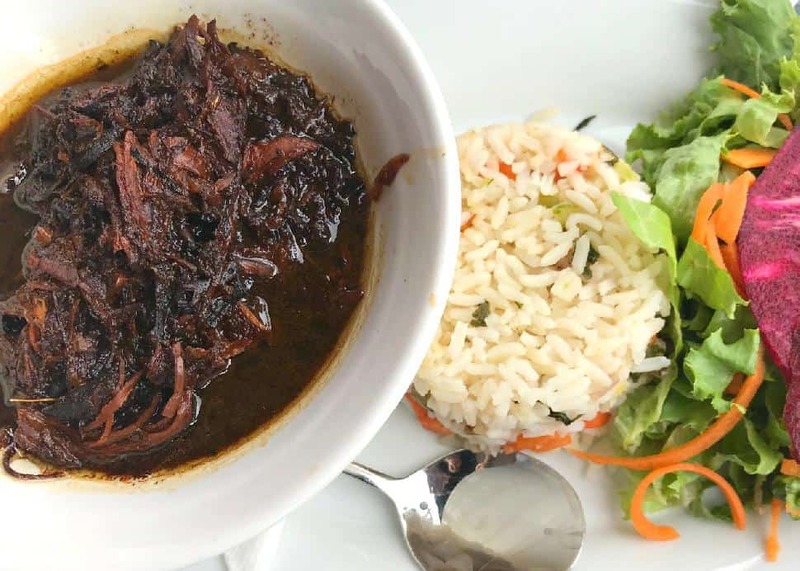 Hot and spicy, the meat potpourri stew is strongly flavoured with cinnamon, cassareep (a special sauce made from the cassava root), Caribbean hot peppers and other spices, while most often served with Caribbean rice and salad. 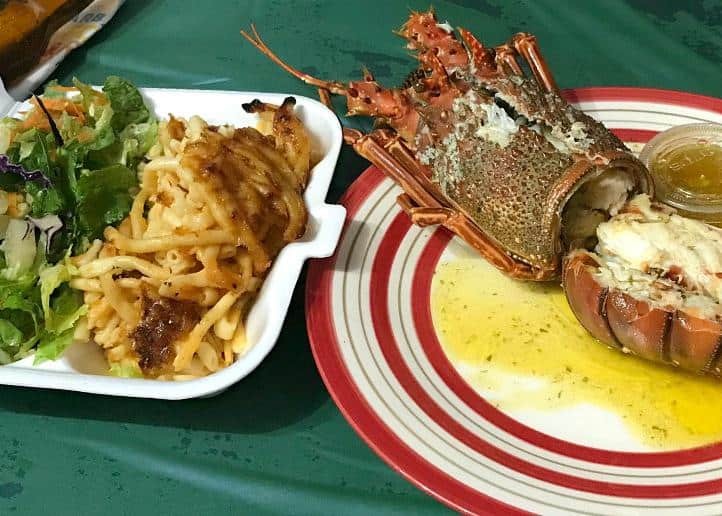 Where to try it: Waterfront Cafe in historic Bridgetown has a delicious pepperpot dish, or if you want to enjoy the full Bajan buffet dining experience, head to Brown Sugar Restaurant, a favourite food spot among both locals and visitors. What it is: This Bajan soup is made of chicken, sweet dumplings, fresh herbs, sweet potatoes and other vegetables. Barbados is the only Caribbean island known to add sugar to dumplings, and the combination of flavours is a true treat for your taste buds. 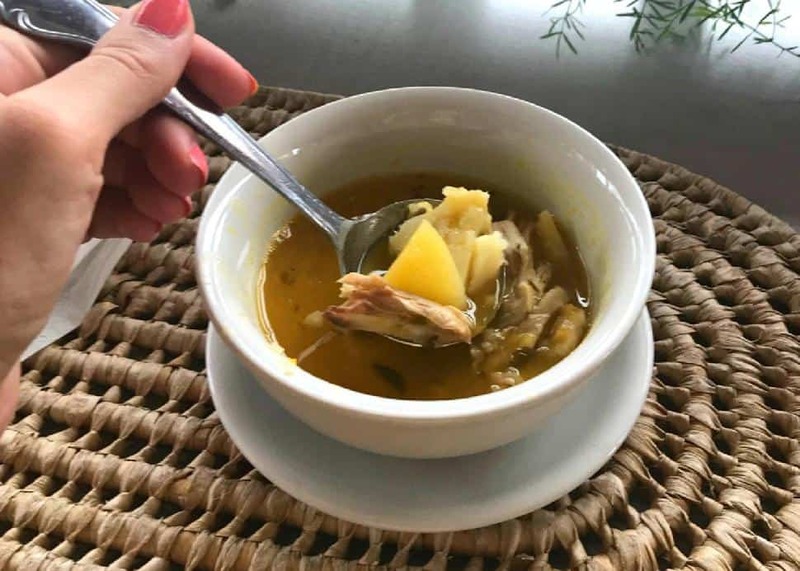 Where to try it: Enjoy a bowl of this Bajan soup while overlooking the streets of Bridgetown from the balcony of Ryanne’s Restaurant. Where to try it: You can find fish cakes almost anywhere on the island, but three favourites are found at the food cart known as Hot Legendary Fish Cakes, a food cart tucked in a nook on a side street of downtown Bridgetown; Braddie’s Bar, known as the “Best Little Rum Shop”, located roadside in St. Lawrence Gap, Christ Church; and Waterfront Cafe in historic Bridgetown. To find your own favourite, enjoy a thorough taste of the Culinary Capital of the Caribbean with a three-hour walking food tour hosted by Lickrish Food Tours, during which you can sample all of the Bajan dishes loved by locals, while learning about the history of the island.